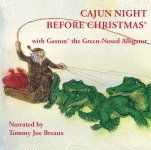 Cajun Night After Christmas is a story about what happens to St. Nick, an alligator named Pierre, and the Boudreau family once the holiday is over. Boudreau rescues Pierre and brings him back to the house as a pet. Before Pierre has a chance to escape, a cute girl alligator makes eyes at him. When the two fall in love over a bowl of good gumbo, Pierre decides to raise a family. St. Nick visits the family every year to bring gifts for the children and spread some good cheer! 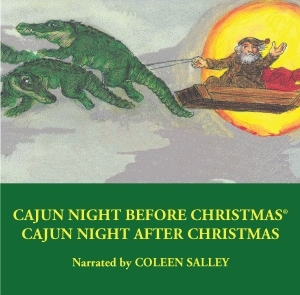 As children’s author, storyteller, and professor emeritus of education at the University of New Orleans, where she taught for thirty years, Salley inspired countless future teachers, writers, and illustrators. The author of Pelican’s Who’s That Tripping Over My Bridge?, Salley passed away in 2008 at the age of seventy-nine.